Bud loves to bake and it's a great fun way to while away an afternoon. Lot's of baking supplies for children can be more toy-like than for serious baking so when Pyrex sent us a couple of items from their fab Flexi Twist for Kids range, the most difficult decision was which to use first and what to bake. The Pyrex Flexi Twist for Kids range is a bright, colourful range featuring numbers, Happy Birthday and circus themed designs. Every item has the reassuring Pyrex quality, with high grade silicone which can withstand temperatures of up to 240°C. 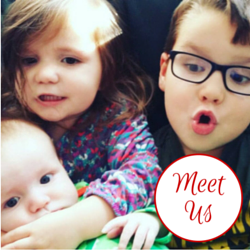 All of the products are Bisphenol-free too which is reassuring for parents. We were sent the Numbers Cake Tray and the Circus Moulds Set. The Numbers Cake Tray is a large mould which has the numbers from 1-10 embossed in it. It makes a large, shallow cake which is perfect for tea parties. The Circus moulds feature a lion, clown and an elephant. 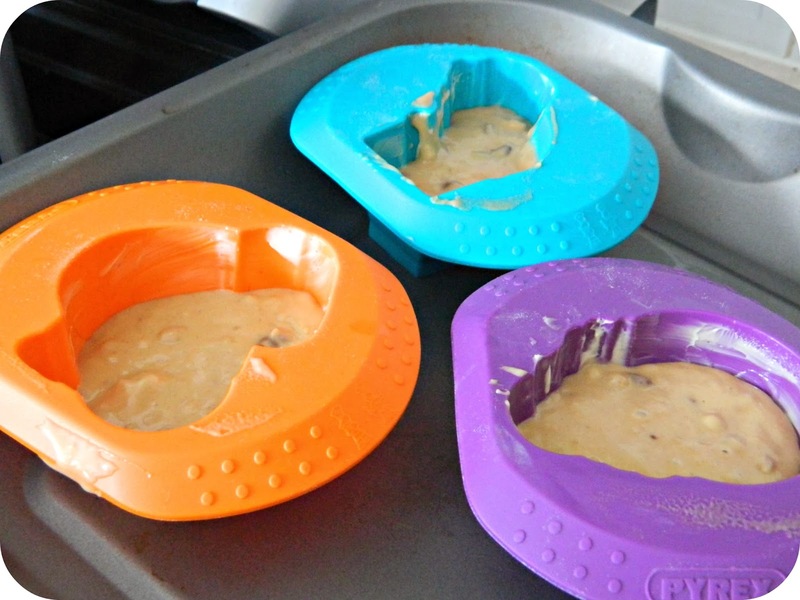 Bud is rather obsessed by muffins at the moment and these are his favourite thing to bake so we decided to give our usual muffin cases a rest and use the Circus moulds to make some larger muffins instead. We used a simple muffin recipe and Bud got busy stirring the mix. We half filled the moulds with our muffin mix then added the all important chocolate chips. I stood them in a baking tray to ensure that they were secure in the oven. After twenty minutes our muffins were ready and we were very pleased with the results. They were shiny and glossy and looked very tempting. After a few minutes cooling in the moulds we simply turned them upside down and out they popped. You can see a textured area on each side of the mould, this is so you can firmly grip it and then twist it to remove it if needed, I had lightly greased the moulds so we didn't need to at all. I was really impressed by how clear the detail was that each mould had embossed on to the muffin. They looked great, especially the clown mould and the fun design means that you don't need icing. If you do decide to ice then your children could follow the lines of the design to make it look really great. All we had left to do was taste them and we really weren't disappointed. 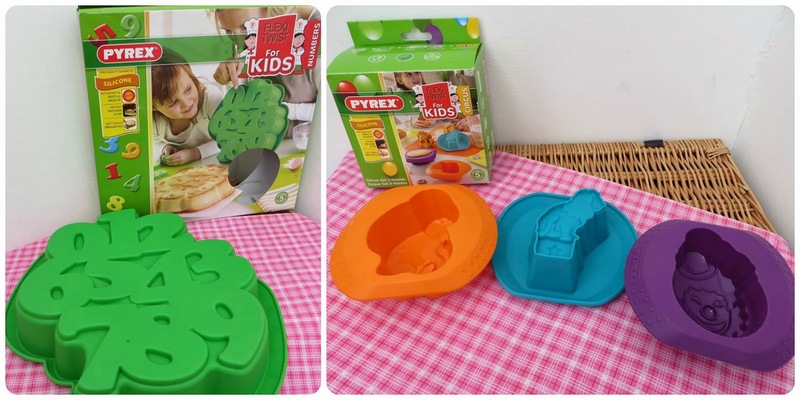 The Pyrex Flexi Twist for Kids range gets a big thumbs up from us. Three of my friends have also been reviewing the range, head over to ET Speaks From Home, In the Playroom and The Brick Castle to find out what they made of it. Pyrex is a trademark of Corning Inc, used by permission. Disclosure: We were sent these items for review purposes, all opinions are my own.